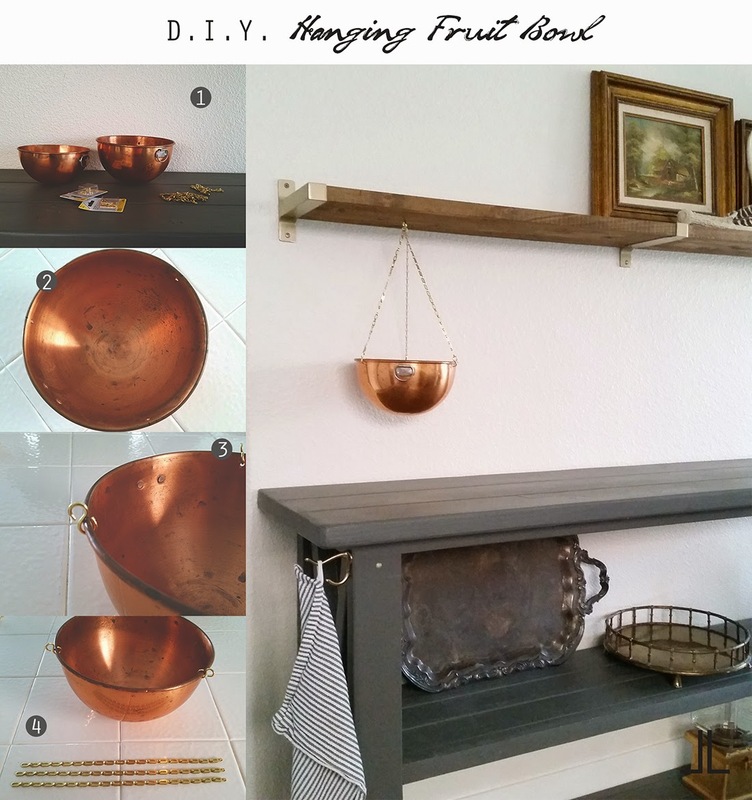 Over the weekend I whipped together a hanging fruit bowl. (1) I gathered my hardware. (2) Drilled evenly distributed weight holes in my bowl. (3) Popped in the "S" hooks. (4) added a foot of chain to each "S" hook. (5) Screwed in my screw eye to the wood. (6) Hanged my chain through the screw eye loop. And that was it DONE! So simple and easy. When I took the photo, we had zero fruit in the house. Usually by the time Sunday roles around we are depleted of fruits and I have to replenish. So I ran out and bought some fruit and plopped them in to the bowl and I love it. 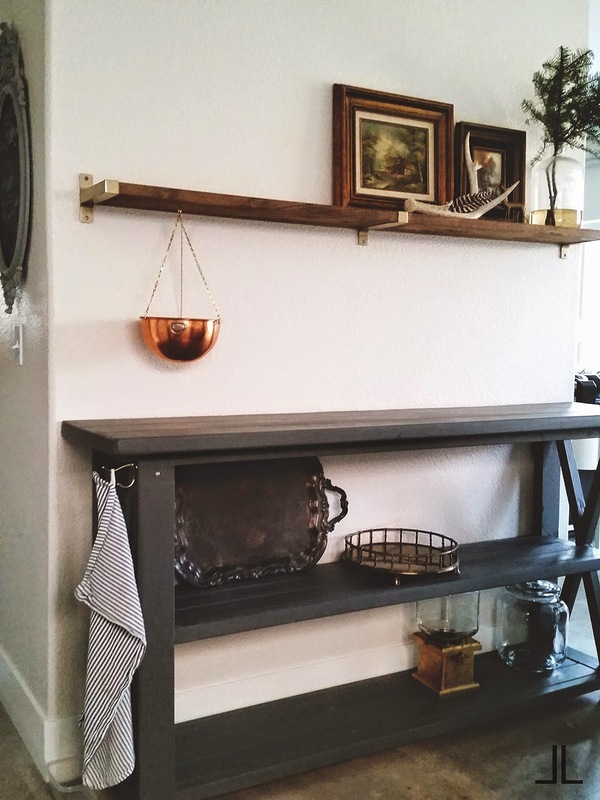 Im on the fence about hanging the other small bowl next to it alittle hire then the big one, but I'm not sure yet.